Do you have a good medical insurance policy? I pay all my medical expenses out of pocket. Unfortunately I never took any medical insurance before I fell sick. Back in the 90s, very few people thought it worthwhile. However, these days, awareness is increasing and quite a few people have started taking insurance policies. Very often, we think that we don't really need medical insurance. What are the chances that I am going to get anything major? Why waste so much money year after year on something that gives no return? Nothing could be farther from the truth. Ask any person diagnosed with a serious illness and he or she will tell you that there were no warning signs. They had no clue they were going to get this horrible disease. So, why not be prepared for the worst? Think about the consequences of not having such coverage and getting diagnosed with a debilitating illness. I can speak for kidney disease. The entire life's savings of many patients and their families I have seen around me have been wiped out within a few years of being diagnosed. The situation could be similar in many other illnesses. What is a small amount of money each year to protect us from such a disastrous situation? When you are getting yourself a policy, make sure you take something that covers all the major stuff. Now, I have no clue about the specifics. But a little bit of searching on the internet should give you the answers you seek. Group insurance policies that are taken by companies for its employees offer a number of benefits. Apart from having lower premiums, they typically cover pre-existing conditions as well! This can be really helpful if you already have a problem and have no insurance. 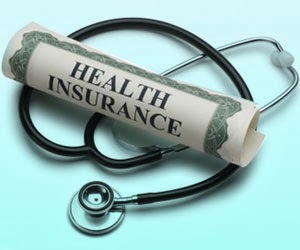 Regular medical insurance will not cover these conditions that already exist until a waiting period of a few years. Remember, a small amount of effort will help you tide over what could be some of the worst times in your life. Worse, your family could also be badly affected. Act now.